The hamster ball is getting weaker. Epic Games is set to make Fortnite: Battle Royale’s latest vehicle, The Baller, far weaker than it is now. This isn’t a threat, it’s a promise the company is making. Epic has announced in the v8.20 patch notes that The Baller no longer deals damage when running over players, and that the v8.30 update next week will bring more changes. 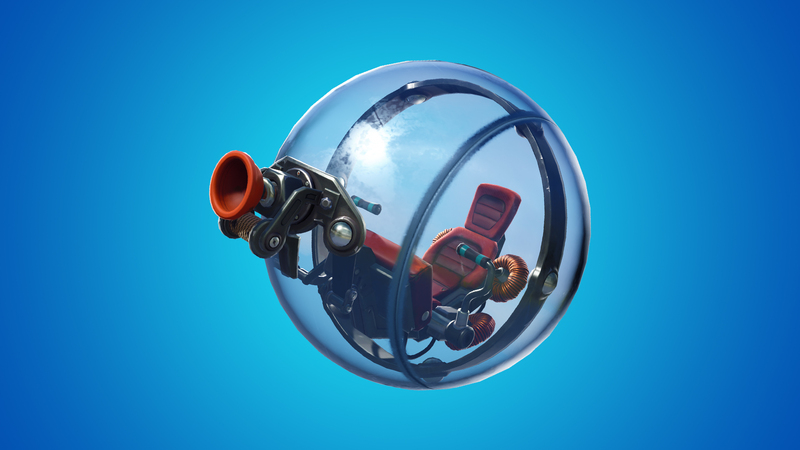 Players will be able to shoot through the glass of the hamster ball and deal damage to the driver, which is now impossible. Epic said it heard feedback from players and isn’t satisfied “with the current use of Ballers, specifically in the late game,” and that’s why it’s nerfing The Baller to the ground. It’s easy to understand that using The Baller for protection is about to no longer be an option, but what Epic really seems to be trying to do is to avoid controversies with The Baller in Fortnite’s upcoming official competitions, especially the Fortnite World Cup Open Qualifiers. Epic was harshly criticized last year for enabling the Mythic item Infinity Blade during the $1 million Winter Royale competition in December 2018. Most winners of the finals were using the item throughout entire matches, which let them instantly destroy all structures, deal ridiculous numbers of damage, and recover health and shields upon eliminating others. Professional players publicly complained about the item, saying it was not compatible with a $1 million Epic-sponsored tournament. Epic is probably afraid of a similar criticism if The Baller’s current interation is still in the game for the next few competitions. Professional players who have been practicing in custom Duos matches, like those organized by FaZe Clan’s Turner “Tfue” Tenney, grab The Baller and use it to protect themselves in the late game and move around structures quickly. Players without a vehicle hardly ever target those who are inside The Baller because it takes too long to destroy it. Trying to shoot down The Baller leaves the shooter exposed to others who can take them down. Therefore, players who are inside The Baller have better odds of surviving the late game chaos and winning the match, since others won’t target them and the only way to counter it is with Boogie Bombs. Now imagine a player scoring enough points during the Fortnite World Cup Open Qualifiers to advance to the semifinals or finals just by turtling inside The Baller. This is possible by getting points for their placements. That would allow players with poor strategies and even subpar skill to steal spots of those who would otherwise play the game without turtling and put on a show balancing eliminations and survival. One can argue that turtling inside The Baller is also a strategy, and that all players can get in the vehicle and use it to their advantage. But when matches are decided by items that can barely be countered, just like The Baller’s current iteration, these items become a competitive problem. Epic is creating new ways for players to counter The Baller with the v8.20 changes and the upcoming v8.30 vulnerability changes. As long as players can play around the vehicle, Epic should be relatively safe from criticism about The Baller, and tirades against items in competitive modes will be restrained to the infamous Infinity Blade in Winter Royale.